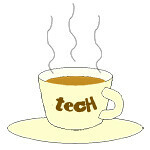 Arsenal « Tech bytes for tea? Barclays Asia Trophy will be in Singapore for the first time in mid-July with two match days on 15 (Wed) and 18 (Sat) July. Arsenal, Everton, Stoke City and Singapore Select XI will be fielding their first team players for the tournament. Arsenal has beaten Everton 3-1 in the finals of the Barclays Asia Trophy with goals from Theo Walcott, Santi Cazorla and Mesut Ozil. Ross Barkley scored a consolation goal for Everton 15 minutes from the final whistle. Legacy of the Barclays Asia Trophy 2015 – record crowds and funding for Singaporean football coaching. Premier League donates S$150,000 to Football Association of Singapore to fund second-stage Premier Skills programmes. Petr Cech also made his debut for Arsenal after his 10million pound transfer from Chelsea. In an earlier match, Stoke City clinched third place in the tournament by beating Singapore Select XI 2-0. So Arsenal will be meeting Everton in the Finals on Saturday (18 July) while Stoke City will meet Singapore Select XI for the third-fourth placing on the same day. Arsenal had beaten Singapore Select XI 4-0 in the opening match of the Barclays Asia Trophy 2015 while Everton edged out Stoke in the penalty shoot out after a goalless draw at the end of regulation time. Arsenal’s 19-year-0ld striker Chuba Akpom scored a hat-trick while Jack Wilshere contributed with a goal from the spot. Everton converted all of its five penalty shots while its goalkeeper Tin Howard managed to save the attempt from Stoke City’s Marco van Ginkel. Barclays Asia Trophy 2015, in Singapore Sports Hub on 15 and 18 July, 2015. The opening evening on Wednesday 15 July will see Singapore Select XI play Arsenal (6pm), and Everton versus Stoke City (8.30pm). The third-fourth placing match (6pm) and Final (8.30pm) will be played on Saturday 18 July. Prices are inclusive of GST but subject to booking and delivery fees. Children under the age of 3 do not require a ticket but cannot occupy a seat without a valid ticket. Children’s tickets are available for those aged 3 to 12 years old and must be purchased in conjunction with an adult ticket. Over 90,000 tickets will be available to the public to buy over the two match days and 70 percent of the tickets will be on sale for S$70 or less. The cheapest adult ticket is S$40, while children’s tickets are available from S$25.